You're starting to sound like Dan Brown. Mystery Of The Cathedrals is extremely old, way before Dan Brown. Wonder if this was a terrorist action? and conspiracy theorist to boot. 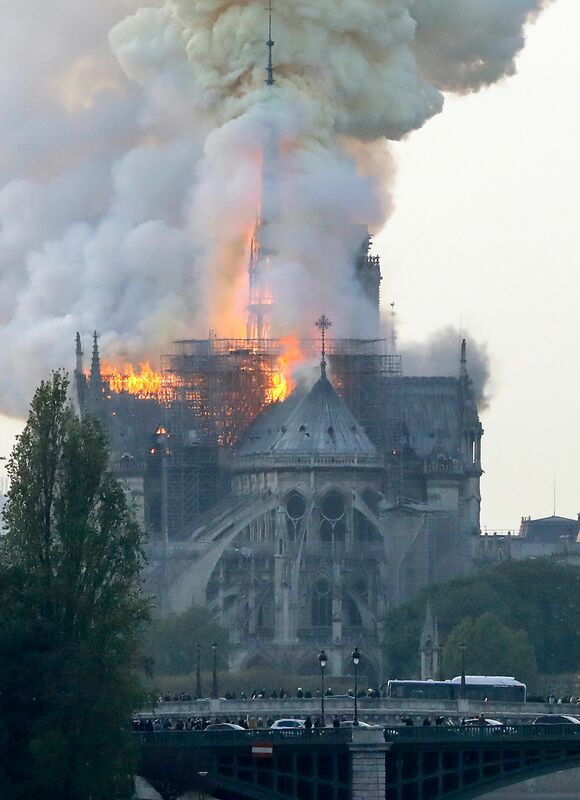 Terrible news, I hate to see historical landmarks perish in flames. I don't think so Realist. hope not anyway. They are reporting that it happened during restoration work. Just heard that an Inquiry has already started. I can't help thinking about those beautiful stained-glass windows. All being destroyed. I wonder why they didn't have some sort of a plan of action with the threat of a fire. It seems so little to see firemen on a cherry picker with a water cannon up against such an inferno. This is so sad. Do hope they got anything valuable out safely. OMG!!!! Omah that is heartbreaking. Lots of smiley faces on Facebook pages from - a certain group. Reports from a long time friend in Israel of palest gangs whooping it up with pictures downloaded from the web. One thing that took place very recently is a fire that was deliberately set on the outside of the wooden main doors of the Saint Sulpice church in Paris. An accelerant had been used and the fire burned through before being extinguished though some damage had occurred to the inside of the church. I dread to think of the fallout if this does turn out to have been deliberately started by the usual suspects. Unfortunately, this could have been caused accidentally by contractors. It's not unknown for them to not always follow the hot works permit properly and the firewatch afterwards. Happened to a client's site some time back by plumbers and nearly destroyed the entire building.